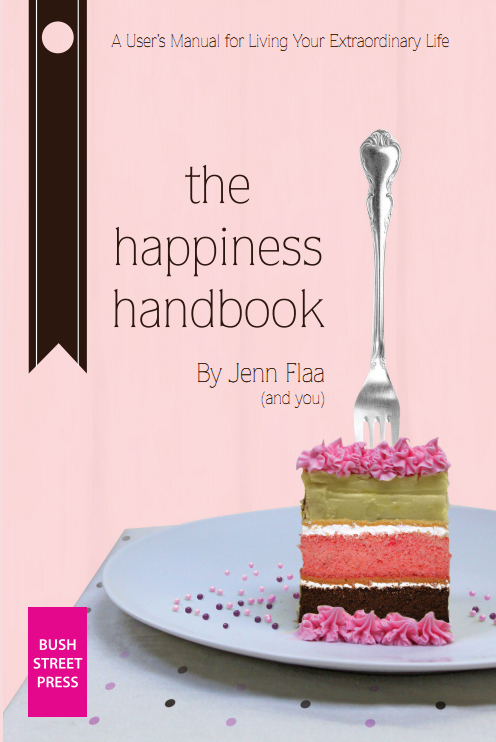 Author Interview with Jenn Flaa and Giveaway of The Happiness Handbook! Last week I reviewed The Happiness Handbook by Jenn Flaa, a workbook that's simple and effective for finding out what makes you happy and how to attain it. You can read my review here. Jenn came across like such a fun person that I decided to have an interview with her. 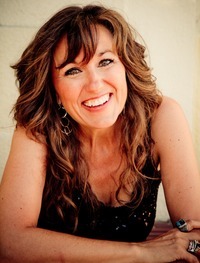 Please help me welcome Jenn Flaa who has also graciously offered to giveaway a copy of her book. LCR: Hi Jenn! Welcome to Library of Clean Reads. JF: Hi Laura, thanks so much for reviewing my book. I’m so glad you liked it! LCR: Let me begin by saying that I loved your book's simple advice, which works! There are a few things I'd love for you to share with my readers. Now, there are many "how to find happiness" books out there. What makes yours different? JF: What I know for sure is that everybody is different. What makes me happy might not even make you smile. The Happiness Handbook is NOT me, the author, telling you what to do to make you happy. I have no expertise in “you” but you do! So, I created a book that was more of an guide to help you figure out what makes you happy, based upon my journey from miserable to happy. In the end, you’ll wind up with your very own “user’s manual” of how you work. It’s like we are writing the book together. LCR: I like that you don't pack the book with pages and pages of psychological know-how but instead keep it simple and to the point. It was easy and fun to read. Was this intentional? JF: Yes! I wanted the book to feel like we (the reader and I) were sitting together, chatting over coffee. When I was at my most unhappy, I sure could have used a book that was a shoulder to cry on, a guide and a cheerleader all rolled into one. So, that was the goal – to create the book I wish I’d had ten years ago. LCR: I did feel like you were chatting with me as I read the book, and I couldn't help thinking you're a fun person just by the way you come across. What's your favorite leisure activity? LCR: Singing in a rock band...that's so cool! Okay, so what's your best advice for those struggling to stay positive? JF: First, I’m sorry you had to go through the stuff that brought you to this place. Many of us have been there, so you are not alone. Remember to be gentle with yourself and give yourself permission to feel bad, sad, mad. Because the only way I know how to get through to the other side - is to feel your feelings. The action of feeling them, helps to get them out of your body, mind and emotions. Don’t aim for happy yet. Aim for neutral – not happy but not sad. There’s more tips in The Happiness Handbook for moving through your emotions too. (For example: I like to go to a batting cage and just whack the ball to move anger and a long hot shower I can cry in private to help move sorrow). LCR: I've cried in the shower too so my kids couldn't hear me... If you could travel back in time where would you go? JF: Boy that’s hard to pick just one! We are so lucky to live right now with all the advances in plumbing, medicine, science, education and civil rights. On the other hand, the fashions were so fabulous in so many eras! LCR: I'm going to have to check out all these book and movie references. Favorite ice-cream? JF: Mint chocolate chip because it brings back memories of summers with my grandparents and it’s tasty too. LCR: Thanks, Jenn, for taking the time to share! Serial entrepreneur with deep roots in technology and a passion for music. Jenn merges creativity and tech with fun and energy. After starting her career as an engineer at NASA and a stint in Silicon Valley as a Quality Assurance Manager, Jenn started her first of four companies. Vettanna provides high tech resources and communications training on-camera. *Giveaway ends May 21, 2013.